Spiritual Healing: Real testimonies of healing that occurs from reliance on sources other than western medicine (medication or other invasive surgery or manipulation). The basis of this healing book will be Carin's own experiences through Christian Science healing (reliance on prayer, divine inspiration and God - or a higher power) as well as healing testimonies based upon interviews and experiences of people from varied religions, belief systems, modalities or other "miraculous" occurrence. Carin is currently expanding her healing services through Life Coaching, Reiki energy healing and sound/vibrational healing and these ideas will be well-represented in the work. There will also be focus upon the idea of "near death experiences" and how regardless of religious or spiritual beliefs, those who have had an NDE tell tremendously similar stories of their experience. 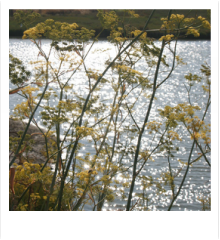 Coupled with Carin's original photography, the book illuminates integrative and alternative ideas promising options to the ever challenging question of how we respond to our health and its treatment. 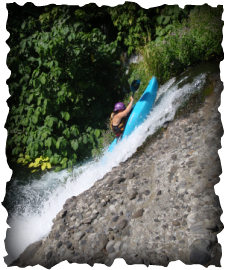 Travel Narrative: Carin will be writing about forging into the unknown. Be that an unknown place or the unknowns in our own experience, in our soul. The basis of the unknown experience will be guided by a couple of "spinners". Carin will be traveling with a spinner (remember the childhood board game with the spinner that landed you on purple or had you go back two spaces? )...using the spinner idea, Carin will be regularly spinning once for direction and once for distance. On those given days, she will go the direction and distance without variance, taking her to destinations and experiences unknown. The book will chronicle the incredible journey of trusting oneself to the unknown, being open to experiencing everyone you meet along the way as divine (as a teacher, as an open learner) and the idea of childlike wonder. 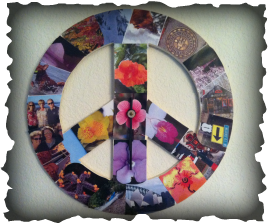 The first spinner is a collection of my photography work assembled onto a peace sign. Each photo is for me a personal representation of the direction on which it is located. I have since added distances ranging from 30-240 miles. The first few spins took me to amazing places that I cannot wait to share with you!